There are multiple ways to emulate Android on a PC and you don't need to be a geek to do so. We are Going to demonstrate one of the simplest ways to run Android apps and games on a windows based PC or a Mac using the BlueStacks app player. 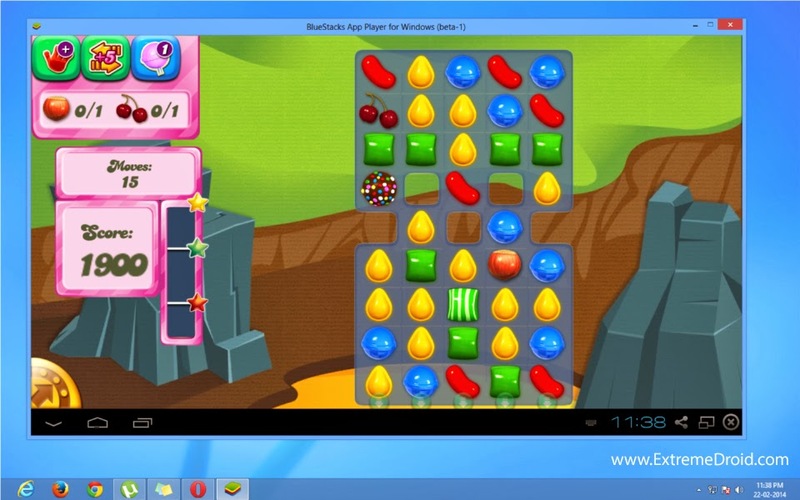 The app player provided by BlueStacks is basically a virtual machine running on Android Jellybean with several optimizations,which allows you to run apps smoothly(to some extent!) and in a full screen mode. This step is very important as the player won't run unless you have the latest drivers. Install the App player. BlueStacks can be installed on any location on your hard drive,however in Windows based systems all the application data will be stored on the C drive so you need to have sufficient empty space in the C drive.5 GB space should be enough for casual use. Open BlueStacks,boot up of the app player might take some time.Log in to your google account just as you do with a new phone or Tablet. you are now ready to run mobile apps on your PC or Mac. You can use Google PLAY store,AMAZON app store or any other market for app installations. PLAY store is not visible on the home screen,use the search button to search for any app in the play store. Apps installed from PLAY store are encrypted and are not visible from Windows explorer. After finishing the installation all the APK files on your system will show the BlueStacks icon, just click on the APK file to install it on the app player. Click on the App sync icon and enter the password of your google account.All your previous apps will be downloaded into BlueStacks. That's it,Enjoy your Android apps and games!!! Don't forget to like,follow or share our website! !